ARUN passed the preliminary stage of the Nikkei Social Initiative Award and became one of the finalists of the International Division. We were selected from more than 380 entries. 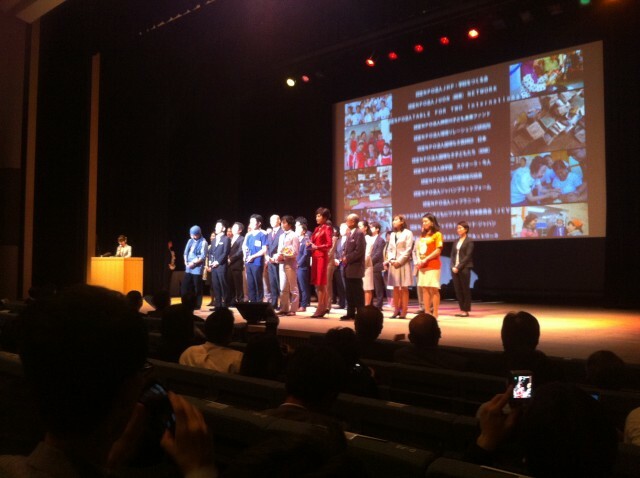 We were invited to the award ceremony and special symposium. The panelists were Mr. Yoshikazu Tanaka, the CEO of GREE, Inc., famous for mobile social gaming, and Mr. Daigo Sato, the director of Just Giving Japan, General Incorporation Foundation which runs a website of fundraising. We had a great and useful time there sharing the situation of social business in Japan and discussing how to relate with a development of social business from a corporate sector. It was heartwarming to see interactive communication at the ceremony. Stories by each representative of awarded organizations were shared and messages and letters from stakeholders were introduced. Though ARUN was regrettably not awarded, we again recognize the importance of our business listening stories by awarded organizations. Social entrepreneurs devote themselves to their business with a strong belief of solving problems and making the world a better place, though the measures vary. Though the business itself has a great value, many companies face great difficulties since the business model gets more complicated than profit companies to make their beliefs come true. ARUN supports those entrepreneurs by investment. It is worth going to water sprouts of social entrepreneurs with great effort and helping them grow to be a-ever-bigger tree. In the future, we would like to increase investment not only to entrepreneurs in developing countries but also to ones in Japan and help their growth. We again appreciate your daily support and cooperation in our activities. Incidentally, we found that Ms. Norika Fujiwara, very sophisticated and beautiful even from the distance, was awarded the special prize and she has been contributing to charity such as holding photo exhibitions since 2004. Contribution to charity by famous people gives us an impression that doing something good for somebody else is not anything special.